Branding is key for any business to succeed. This is especially true in law. With so many firms competing for the same prospective clients, a well-developed brand can be the difference between landing clients and watching them go to a competitor. Could your law firm benefit from improved branding? 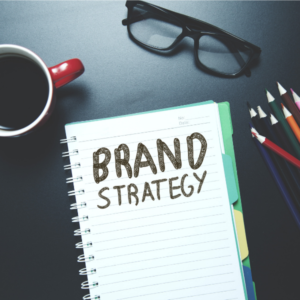 Here is Attorney Business Consulting’s “Branding 101” for Lawyers, including a simple nine-step guide to successfully creating a brand. Branding is a term which is often used in law firm marketing, but seldom really understood. Branding is far more than just a flashy logo or a catchy jingle on the radio. It is essentially the manifestation of your brand to the wider public. Put it this way, when you position your law firm, you leverage what you do best and what makes your firm unique in the industry. Branding can essentially be understood as the “external manifestation” of this positioning – how the general public views and identifies with your firm and your brand. In today’s online world, the importance of branding cannot be understated. In previous periods, firms needed to have a message that stood out from the pack. This led to the attention-grabbing, grandiose legal ads that we are all familiar with. Today, however, with the amazing array of online channels available, potential clients are the ones who are seeking out legal services. Because of this, it is critical that firms create a brand which is true to its very essence. This means creating a brand that reflects not only the firm and its ethos, but also reflects the values of the community it is targeting. There is real equity in a thoroughly-developed brand which can have long-lasting results for firms. According to a study, 40 percent of all small firms don’t have a website. Having a well-maintained, SEO optimized website, full of curated content tailored to your potential clients’ needs, can be a game changer which can help you stand out from the pack. Twenty-seven percent of respondents to a 2017 ABA Tech report stated they had a client retain their services through a referral based directly on the quality of their social networking. Having a successful brand message can correlate directly to new clientele to your firm. Eighty percent of law firms who maintain a legal blog report obtaining new clients as a direct result of blogging. These statistics lay bare the importance and effectiveness of creating a coherent brand for law firms of any size. 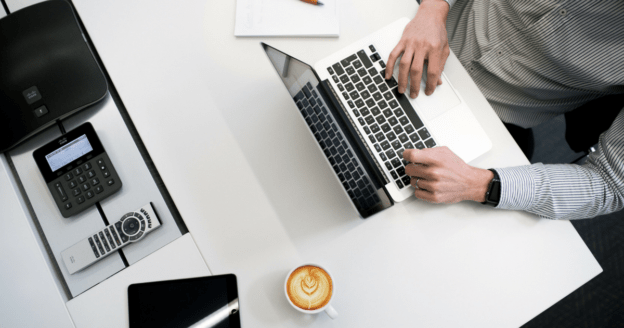 In fact, small to medium sized law firms reported a greater than 50-percent success rate in retaining clients as a result of their blogging efforts. Identify the niche or specialized area of expertise your firm hopes to service. Define who your target audience is. Who are not only the prospective clients who hope to attract, but also the potential sources of referrals? Thoroughly understand the priorities and needs of your target audience. Identify the legal services and expertise your firm offers that are most relevant to the priorities of your prospective clients. Once you have created content, you will need to track which type of information is achieving the best goals for your marketing goals. This means seeing which forms of content are having the best rates of return, engagement, inquiries, or similar. Be sure to adjust your content strategy accordingly based upon the analysis you receive. Make sure you stick to your plan! This is critical. Many people may become discouraged if results are not immediate, but creating a brand takes time and consistency. Be sure to keep all of your marketing tools up to date and your content consistent and produced at regular intervals. Finally, you need to stay current. The needs of your target audience may change with time. Always keep your finger on the pulse of what is important to them and change your strategy accordingly. 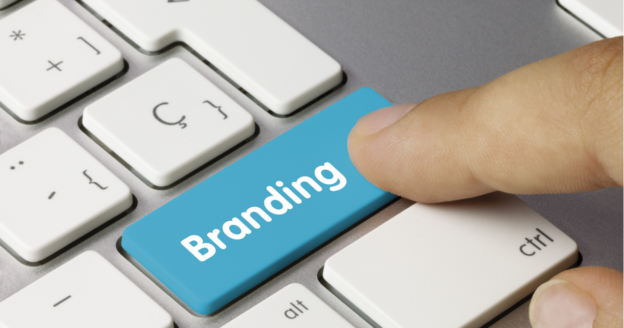 Do You Need Help Branding Your Law Firm? Now that you understand the importance of branding for your firm, it’s time to put that knowledge into action. At Attorney Business Consulting, we’ve helped hundreds of lawyers take the next step in growing their firm, and we’d like to help you, too. As the premier law office management consulting agency, we can assist with every aspect of running your firm. Contact us today at (339) 337-2655 for a free consultation. 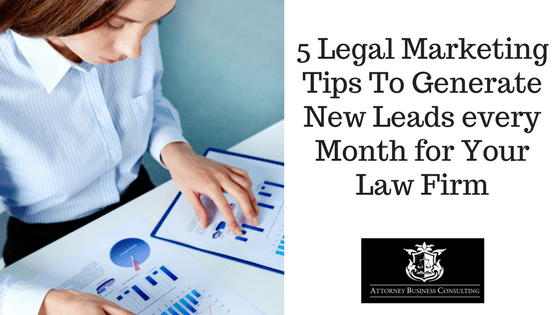 Gaining new clients is the number one goal for any law firm. But how do people select their lawyers? Here’s Attorney Business Consulting’s guide on how clients choose lawyers, and why it matters for law firms. According to a 2015 study, the leading way that individuals found their lawyer was through relationships and referrals. Thirty-seven percent of those who responded claimed that they chose their lawyer based on a recommendation by someone they know and trust. This is even truer when it comes to women. 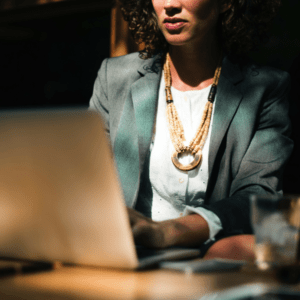 Women are statistically far more likely to seek the services of an attorney who was highly recommended by an acquaintance, than by any other method. While the favorite method of finding a lawyer is through referrals, that doesn’t mean that the internet is a waste of time. Not in the least, in fact. The web offers an incredible opportunity to help build stronger relationships with individuals, leading to further recommendations. 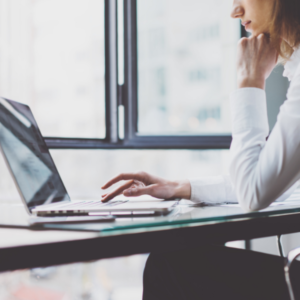 Many lawyers and firms spend too much time believing they need to market their firm continuously online – but they are missing the true power of the web. Instead of merely bombarding visitors with slick ads, why not highlight the evidence that proves your reputation is solid and well-earned? Instead of worrying about things like backlinks, followers or page rankings, why not focus on providing what your clients really want and leave the rest to marketing professionals? What Information Matters Most to People? The study also found that smartphones were by far the most utilized device for selecting a lawyer, followed by computers, such as desktops and laptops. So, What Should a Law Firm Do? So, what should lawyers know about how people select an attorney? Simply put, they should understand that the web plays a pivotal role in fostering strong lawyer-client relationships, which in turn can generate leads. Building a relationship online is more than just fancy advertisements. It’s showcasing your reputation as a legal authority and fountain of information for visitors. By curating compelling and relevant content through legal blogging relevant to readers, you can attract referrals from those who have used your services in the past. Even better, you can further earn the trust of those past clients by becoming their source for knowledge. Then, by stating your firm’s experience and impressive credentials, you can win new clients. Now that you understand how clients choose a firm, it’s time to put that knowledge into action. At Attorney Business Consulting, we’ve helped hundreds of lawyers take the next step in growing their firm – and we’d like to help you, too. As the premier law office management consulting agency, we can assist with every aspect of running your firm. Contact us today at (339) 337-2655 for a free consultation. According to The National Law Review, 74% of people look for a lawyer through online searches. Are you confident that your site would appear in their query? Sure, you have a website, but to become (and remain) profitable in this crowded legal landscape requires so much more than that. Fortunately, you don’t have to be tech-savvy to have a stand-out site. Utilizing SEO (search engine optimization) best practices is a beginner-friendly way to ensure that your practice has the highest possible visibility on the internet. 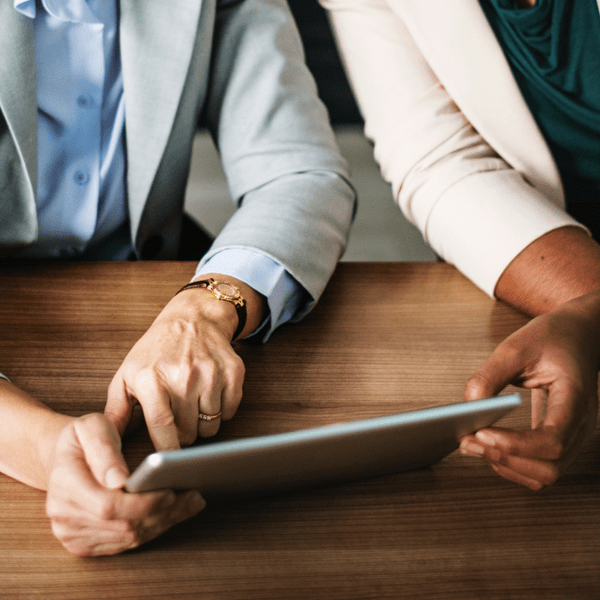 The experts at Attorney Business Consulting are bringing you an introductory guide to SEO marketing for lawyers and law firms. Read on for attorney marketing tips that you can start implementing today. A Brief Overview: What is SEO? SEO stands for search engine optimization; it’s a method of creating and presenting digital data so that it’s viewed favorably by search engines such as Google or Bing. Every website gets a ranking, and this ranking can be increased or decreased depending on how well a page is optimized. The higher a site is ranked, the better it will show in search engine results. Search engine marketing is much more than strategically placed keywords or an impressive collection of content housed on your site’s blog. Ensuring that your law firm is listed as one of the top search engine results is invaluable and could make or break the profitability of your law firm. No doubt you chose the topic of your content based on careful law-related keyword research, but writing about it is only half the battle. Make sure to include those same keywords in the URL, page title, and the <h1> tag, as well as with the accompanying image. The insures that every possible point of your content is associated with that keyword and that search engines notice it. Blogs are widely recognized as a useful way to rank for keywords that are relevant to your law firm. Take this to the next level by providing comprehensive content with higher word counts (1000+ words). Longer content boosts topical relevancy, making your content more favorable to search engines and more likely to be displayed in search results. Your site structure is an essential factor when ranking in search engines. A poorly organized site can outweigh the best content on the internet by making it hard for search engines to recognize what services you offer (and that you’re a relevant result for a search query). Include your law firm’s primary areas of practice so that it’s clear to search engines what your business offerings are. When relevant, linking to external sites is a quick way to boost your credibility with search engines. By referencing sites that search engines already deem credible, you can piggyback off of their authority to make your content rank higher and assert yourself as an authority on the subject. Having your URL sourced by another domain is one of the most influential factors to indicate that a web page is credible. Search engines weigh backlinks very highly as proof that your content is relevant and that people want to see it. Obtaining backlinks can be challenging, try to create partnerships with your local community or online publications. Our law firm agency can assist with this by pursuing PR opportunities on your behalf (click here to find out how). Growing your small law firm requires capitalizing on technology. You must put your practice front and center in the eyes of potential clients by making the most of the virtual space which you occupy. Search engine optimization is a powerful tool that lawyers can employ to gain visibility and grow their client base. SEO marketing for lawyers is our specialty here at Attorney Business Consulting. 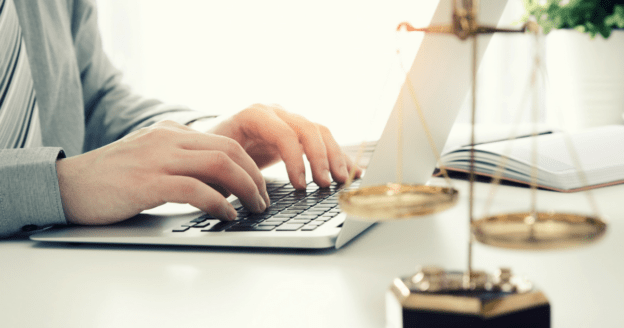 If you’ve already implemented these legal SEO suggestions for your law firm website and want advanced assistance, contact our legal marketing experts for a free consultation today! In a world where technological advances have changed the way we conduct business, it can seem like a daunting task to stay on top of the latest techniques to maximize your business. One timeless method, however, is still the most important: make sure you think like a client. Here’s our helpful guide on how to optimize your legal website to help attract new clients. According to Forbes Magazine, the number one rule for optimizing your website is to make your navigation as user-friendly as possible. The problem with website navigation is that it is far too easy to become too clever for your own good. It is essential that your potential clients can easily navigate your site so that they can locate the services most relevant to them. An excellent way to do so is to make sure that you create unique web pages for each of the services that your firm offers. This lets visitors – which are most likely potential clients – quickly see all you do and determine if your firm is the right fit for them. In a world ruled by mobile devices, it is essential that you cater to those who may seek you out on the go. Mobile optimization is often an overlooked nuance in website design. As more and more people spend increasing amounts of time on their phones and tablets, it’s critical that your site isn’t a hindrance that drives business away. 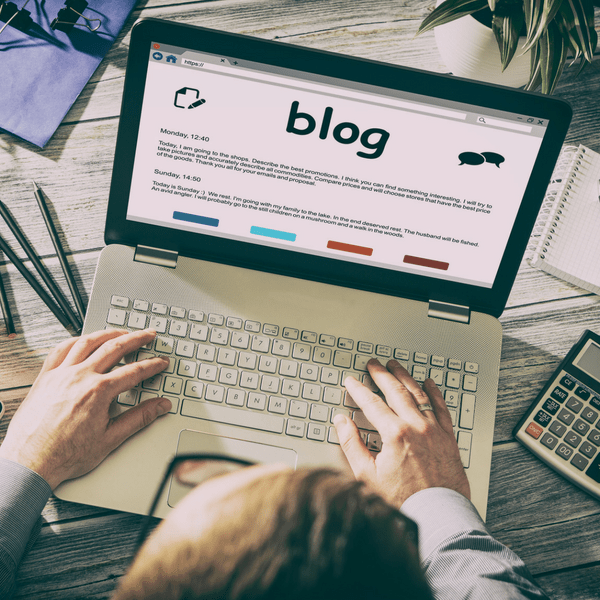 Blogs may seem like little more than a few posts that may entertain your visitors, but they are a critical tool in getting eyeballs on your site. A well-written and curated blog section can be one of the most important tools in your web marketing arsenal. Blogs are great at showcasing your value to potential customers by showcasing your experience, knowledge and services in an engaging manner. A well-written blog can also drive business to your site through careful SEO research. By optimizing your blog posts using search engine optimization techniques, your posts – and your site – can rank higher on search engines like Google, meaning your site will get exposure to a much broader audience. When potential clients are looking for a lawyer, the experience is crucial. Studies have shown that people consider experience more important than age, gender or education when it comes to choosing an attorney. Don’t be afraid to include how long you’ve been practicing, as well as any certifications or pivotal trials you have handled. Definitely brag about yourself – with clients, a little confidence can go a long way! 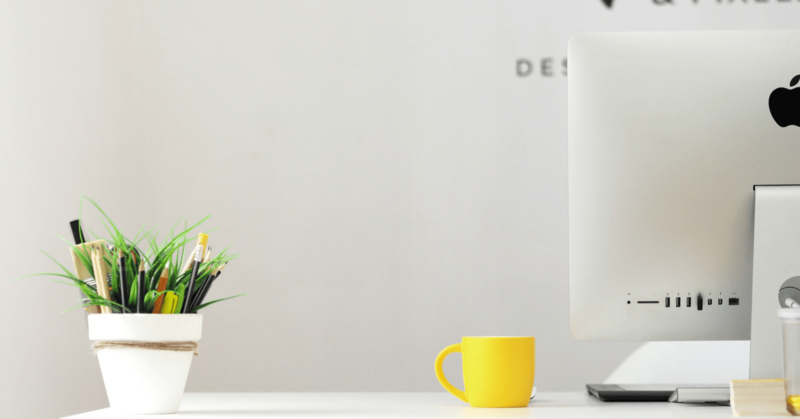 Hopefully, these tips have given you some inspiration for making your website more user-friendly. For any help in every aspect of your firm’s day-to-day operations, Attorney Business Consulting is here to help! At Attorney Business Consulting, we specialize in maximizing the efficiency of your firm. Contact us today at (339) 237-3731 for a free consultation to see what we can do to take your firm to the next level. Many legal websites do not realize the importance of utilizing Google Analytics to market their site and business to their target audience effectively. There are many things to be aware of when tracking and analyzing your web analytics. Google Analytics allows you to see how much traffic your website is generating, what referral sources give you traffic, and what specific pages your customers are visiting. 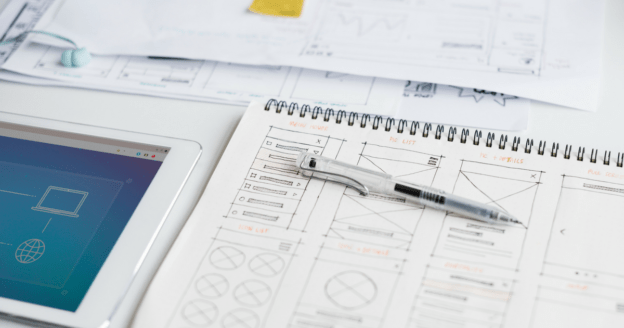 We have compiled 4 of the most important Google Analytics basics to grow your legal website efficiently. Users –- the number of people visiting your website for the specific period of time. Sessions –- the average number of pages each user visits while on your site. Bounce Rate –- the percentage of viewers on your site who leave after viewing one page. Session Duration –- the average time a user is on your website. These four tabs present a multitude of information available for you to see insights on. Among these are being able to see the week and day users have visited your site, the sources they have come from (paid search, social media, organic, direct, etc. ), the countries your users are visiting from, the pages your users visit and the percentages of people visiting your website from a mobile device, desktop or tablet. With traffic acquisition, you can accomplish multiple things, such as seeing your visitor demographics and understanding their behavior. Google analytics also uses direct search, social, organic search, and referrals to track your traffic sources. Direct searches are from people who visited your website from an untraceable source, such as typing the name into their address bar or coming from a bookmark; social includes visitors who arrived to your website from a social networking website; organic searches are users who visit your site after Googling you or searching you on another search engine; and referrals are visitors who got to your website by clicking its link on another website. With information you obtain from your analytics, you can create a client-reader profile. As shown above, you are able to find out all sorts of valuable information about the viewers from your site that you can potentially turn into actual, real-life clients. By building a client-reader profile, you will see who is truly interested in using the law services you offer, which exact kinds they are interested in and any trending topics online users are interested in, which can give you insight on what to blog, as well as keywords you should be targeting. On top of these reports, it is crucial you take note your website’s bounce rate. The bounce rate is the percentage of viewers on a site who leave after viewing merely one page. Google Analytics calculates and reports the bounce rate of both a web page a website. You want to make sure your bounce rate is not very high, because it shows that viewers are not interested in the rest of the content on your website – which is the opposite of what you want. Ideally, anything over 70% is a red flag. This could be an indicator of something not working properly on your website. Google Analytics can help you monitor and improve your website’s bounce rate. You can seamlessly integrate and use all of your devices with Google Analytics, on top of having full access to implement data from Google Analytics to other Google products. Among these are Google AdWords; an advertising platform that helps grow traffic, upgrade your online presence and expand your audience; and Google Search Console; a free tool that helps websites observe and enhance their presence in Google Search results. As well as this, there are plenty of other plugins and widgets you may have on your website that will integrate with Google Analytics, many of which will automatically send data about your website. Google Analytics will be an incredibly helpful and functional addition to your website. On top of everything, it is absolutely free of charge to use. By implementing these tips as well as the many others available through Google Analytics, you will put your website on track to expand and reach out to an even larger audience. If you have any questions about how Google Analytics can help successfully grow your law firm, contact Attorney Business Consulting today for a free consultation at 339-337-2655. We can be your experts in all fields of digital marketing. Our consultants have successfully helped a large number of law firms. The next success story could be yours. Content marketing costs 62% less than traditional marketing and it generates 3 times as many leads. In the world of digital marketing, we have a saying: “Content is king.” And long may content reign. It is a simple saying, but it can take many different forms. 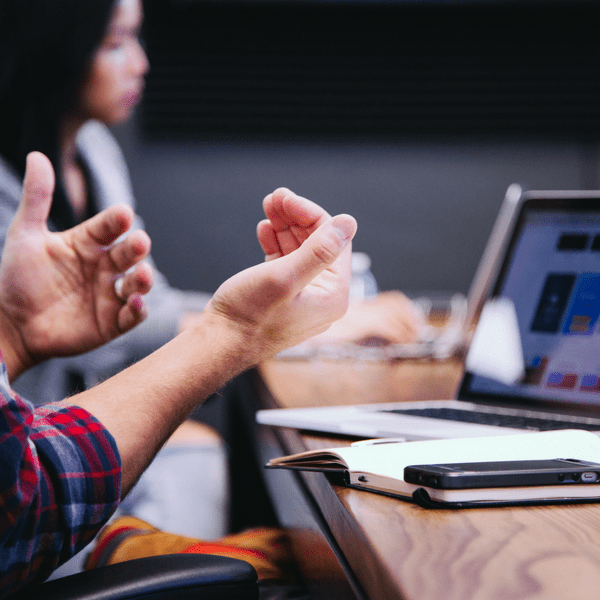 As experts on content marketing for law firms, we want you to know how to produce content that gets you the results you need. You are going to have to do a little bit of introspection for this one. You need to think long and hard about who you are, and what side of yourself you want to portray. If you get along spectacularly with your clients, you are going to want to come off as a guy your clients can get a beer with. Some lawyers are always the smartest guy in the room, and don’t mind flaunting the rhetorical fireworks. Other attorneys don’t mind wearing their heart on their sleeves, and display their passion every time they step in front of a judge. Whatever the case may be, you are going to want to brand yourself consistently. It can be really jarring to find inconsistent tone and voice across your website. There is no one right or wrong answer here, but it is definitely worth thinking about. When someone plugs something into the search bar, they are looking for information. As an attorney, you have that information. This is a match made in marketing heaven. People often misunderstand things like the process of discovery, case law, and statutes, if they are even aware of them. When you can put complex legal ideas into easy-to-understand terms, you not only come off as an authority, but you are helping someone understand what you can do for them. This is what is known as a value proposition. Giving someone your selling points without making them seem like selling points is a great way to generate leads. The biggest reason for not purchasing a good or service online is the lack of trust. This is a global phenomenon. In our digital age, the human touch is lost. Establishing trust through text may seem difficult, but it is absolutely vital to staying competitive as a law firm. This is why we specifically pointed out developing a persona and explaining the law. Coming off as authentic gives you an in. If your content is similar across your site, people will see who you really are. And if your service pages are authoritative and helpful, then potential clients are more likely to have faith in you. As many as 40,000 new laws can come into effect – every single year. While it is not terribly probable that your state will pass that many laws, it is easy to see that there is always something happening. That is where you come in. As new laws show up on the books, you can help people make sense of them. If you are a criminal lawyer, regulations about marijuana are popular. States are constantly changing laws regarding divorce and family law, and that is something you can capitalize on. Family lawyers should stay on top of that. If you have any questions about content marketing for law firms, we can help out. Our team of consultants know the tips and tricks to make your content shine. We offer free consultations to help your small law firm grow. Around 40% of small law firms have a website. Simply creating your firm’s website, throwing it on the internet, and hoping for the best doesn’t work anymore. Your audience of potential clients expects a lot from you. Your challenge is to rise up to meet them. Attorney Business Consulting can help you out. We are experts on legal marketing. Our techniques have helped improve many law firms, including our own. As part of our dedication to you, we have prepared a list of the best legal marketing tips for your law firm. Many people misunderstand social media. You cannot just create a Facebook profile and expect an audience to come to you. That is saying nothing of generating leads. That is not how it works. Sites like Twitter and LinkedIn give you unprecedented access to potential clients. They key is to use that access. Share your passion for all things legal. Create and share content. Share news published on trusted sites from your particular legal niche. Respond to comments and others’ content. Begin to establish yourself as an authority. This will help convert your audience to followers. After that, they will see more and more of your content. You can nurture them through the lead generation cycle and begin to bring in potential cases. Bonus tip: get active in Facebook Groups. There are Groups for everything, including a wide range of legal topics. Join whichever ones exist for your niche. Comment, share, and build authority in an involved and active community. You’ll soon see leads being created. Avvo is basically Yelp for lawyers. Every single month, more than 650,000 people visit Avvo, and ask more than 900,000 questions. Someone gets legal advice every five minutes from this site. Around 50% of visitors have an urgent legal problem that requires a solution. Something as simple as answering a question online can generate a lead that turns into client. 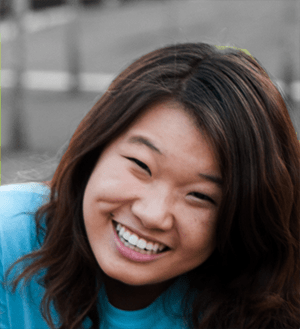 Chances are, you already have a profile on Avvo anyways. Avvo has a profile for 97% of all American attorneys. The site uses public information, like state bar registration and court records, to add lawyers to the site. When you claim your profile, you can not only correct any information that is wrong, but you can start answering questions. Avvo is also really important due to its rating system. 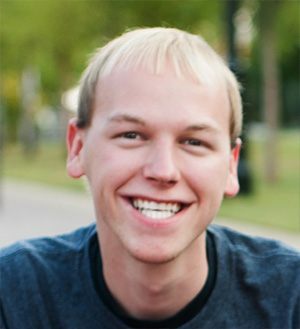 Claiming your Avvo profile is the first step towards online reputation management. Make sure to respond to all your reviews. It doesn’t matter if they are positive, negative, or indifferent. You want to show anyone who may see your reviews that you care about client satisfaction. Take the extra two minutes to say “thank you” or “I’m sorry you had a less than stellar experience.” This small investment of time will pay dividends later. Bonus tip: actively solicit online reviews. Send a mass email to your former clients. Ask them to leave a star rating and a sentence about their experience with your law firm. You may be surprised by how many clients are willing to leave a review when asked. There is a saying in the business world: “Your network is your net worth.” Meeting up with fellow lawyers could not only provide you with a good time, it can establish a referral network. Let’s say you are a personal injury lawyer, and you meet a criminal prosecutor. They are working an assault case. In many parts of the country, assault is known as an intentional tort. You can have your criminal prosecutor colleague refer the victim to you. This can lead to a new case. There are many opportunities for networking. This is where social media is useful. You can join (or establish) a group to meet up every so often, and talk about the things you have in common. You can join Facebook Groups, Twitter lists, and LinkedIn Groups to help grow your online network. You can become active in these varied communities to create valuable connections that can lead to future business. This one strikes many people as obvious. You can network, have a strong social media presence, and be answering questions on Avvo every weekend. But if people do not know how to get in contact with you, all of your marketing efforts are for nothing. Your phone number, address, and other relevant information should be easy to access. Something as simple as a ‘contact us’ page can go a long way. 93% of all internet traffic starts from a search engine. People are constantly searching for information, news, and lawyers. We started off with a statistic about how less than half of small law firms even have a website. There is zero chance that they can be found. When you have a website, you need to perform certain actions to make sure that people see you. Showing up at the top of a search engine results page could be the difference between surviving and thriving. Google is one of the most trusted companies across the entire globe. Search engine optimization, or SEO, is an incredibly powerful tool. Harnessing the power of sites like Google, Bing, and Yahoo can help your business attain greater profitability. Attorney Business Consulting can help your law firm today. We are experienced, eager, and enterprising consultants who have a track record of success.